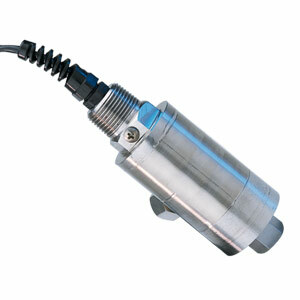 OMEGA’s PXM81 Series wet/wet, differential pressure transducer is a compact, high accuracy transducer designed for industrial applications where low drift and long term reliability are important. Its small temperature compensation error minimizes errors due to changing process temperatures and the rugged all stainless steel construction allows the PXM81 to withstand typical harsh industrial environments found in chemical and industrial plants. Available with either mV/V, 0-5 Vdc or 4-20 mA outputs, the PXM81 Series transducers will interface with most existing control systems. The PXM81 is also available in standard/Imperial configurations, with 1/4 NPT ports, and models from 0-5 to 0-500 psi pressure ranges. Please see the PX81 for complete details, or contact our Pressure department for more information..